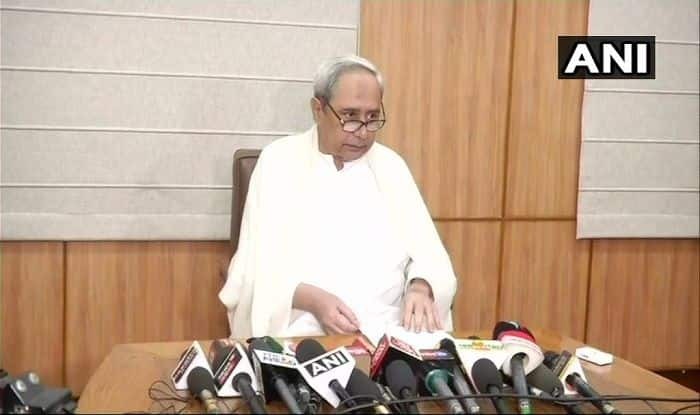 New Delhi: Odisha Chief Minister Naveen Patnaik on Friday welcomed the tax benefits given to the middle and lower income groups in the interim budget 2019. Notably, earlier in the day, Finance Minister Piyush Goyal doled out tax sops to the middle class, including doubling of income tax rebate limit to Rs 5 lakh. A few days ago, Union Minister Dharmendra Pradhan had called Naveen Patnaik a corrupt chief minister because he is misleading people in the name of KALIA scheme. It is to be noted here that the Odisha government had launched Krushak Assistance for Livelihood and Income Augmentation (KALIA) scheme on December 31 last year to expedite growth in the agriculture sector and reduce poverty. The chief minister refused to go for farm loan waiver in the state and had claimed that KALIA scheme will cover 92 per cent of the cultivators, loanee as well as non-loanee farmers, sharecroppers (actual cultivators) and landless agricultural labourers. While the small and marginal farmers will get Rs 10,000 per annum as financial assistance for input cost for cultivation (Rs 5,000 for kharif crop and another Rs 5,000 for Rabi crop), the landless farmers would get Rs 12,500 for agricultural allied activities such as goat farming, poultry farming, duckery, beekeeping, mushroom cultivation and so on. The cultivator or landless agricultural labourers who are very old, having disability or disease and are vulnerable for any other reason will benefit from the scheme. Five lakh families will be covered every year. This apart, KALIA scheme also has the provision of Life Insurance Support to cultivators and Landless agricultural labourers and interest-free crop loan component meant for all category of beneficiary.